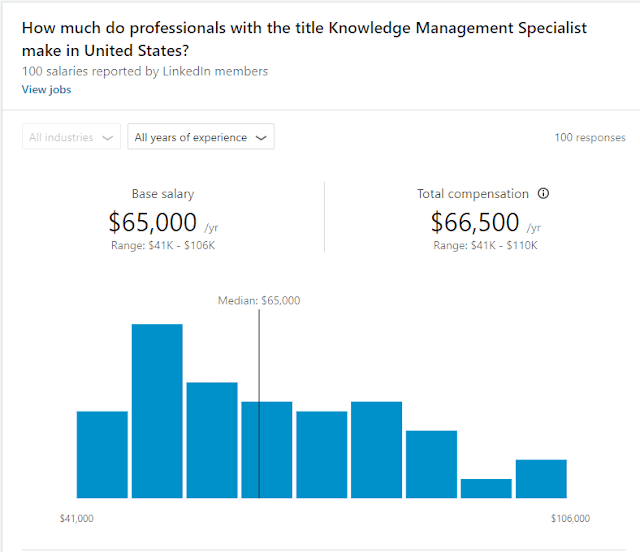 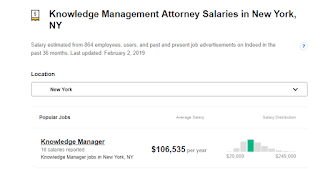 From payscale in Canada we get a Knowledge Manager salary range from C$ 47k to C$73k with a median of $55k (US$35 – 55 with a median of US$42) and a “director of KM” salary of C$142K (US$107k). 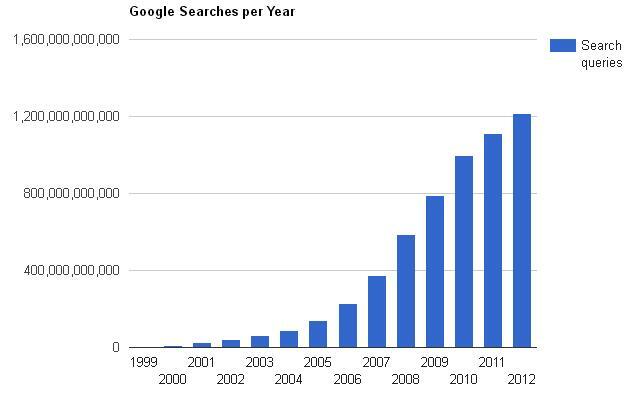 These seem quite low figures. 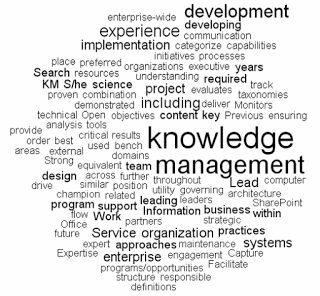 When you delve into the details a bit, it seems as if they are counting every job where “knowledge management” is mentioned in the job description. 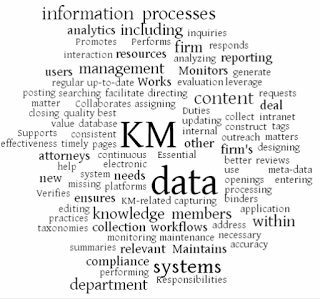 Therefore these are not all KM jobs, but have some relation to KM (for example analysts, part of whose role is to input content into a Knowledge management system). 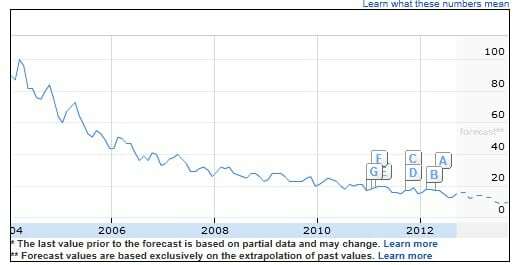 Again there is little significant change over the past 2 years, although the sample size is small. 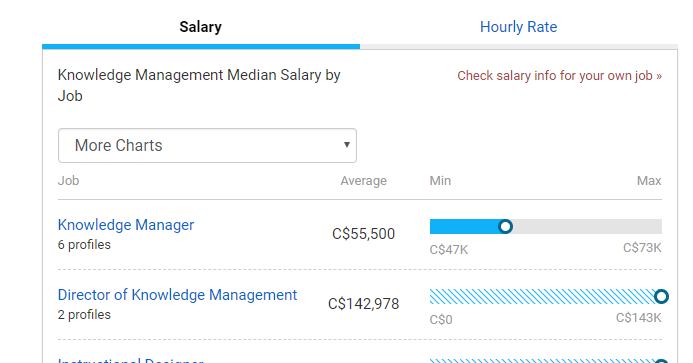 These “Knowledge Manger” jobs are all proper KM jobs. 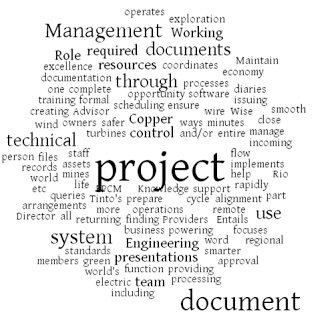 Here are 8 recent jobs posted on LinkedIn – all from the USA – where I have taken the role description section and cut and pasted the text into a word cloud generator. 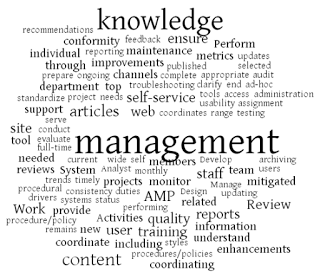 Lets see which words (apart from Knowledge, Management, and KM) stand out. 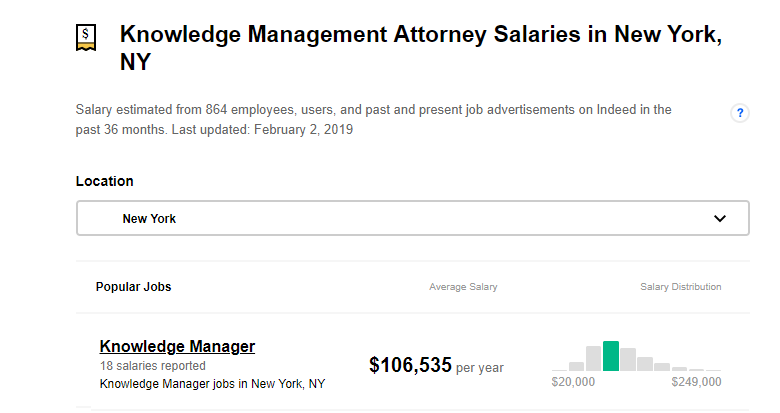 Job number 3 – above – really doesnt have any stand-out give-away words. 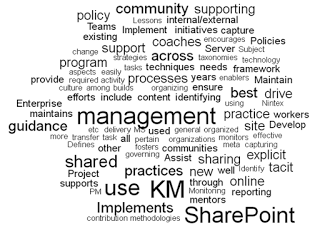 It probably is a bona fide well-rounded KM role, with aspects of collaboration, aspects of sharing, and aspects of content. 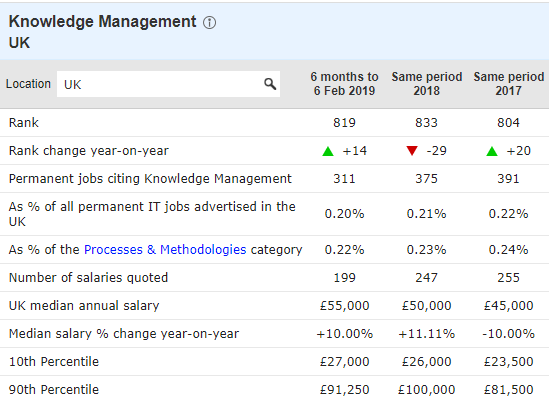 Job number 5 – above – again doesn’t have any stand-out giveaways if we ignore “knowledge” and “management”. 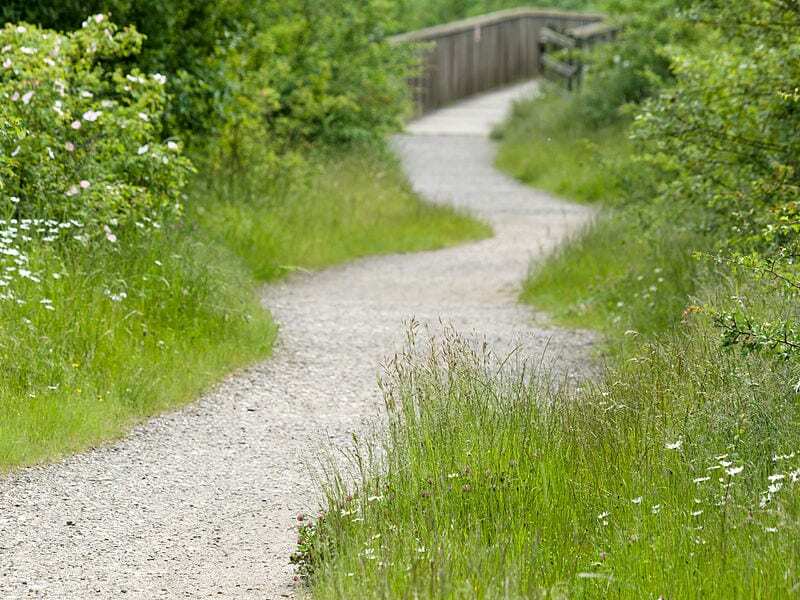 Its probably a good KM role, focused on self-service articles. 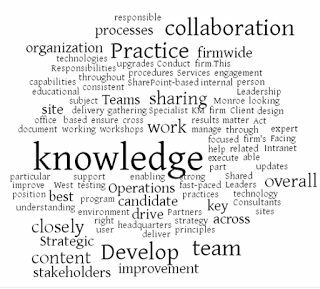 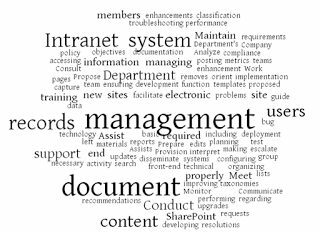 Job number 7 – above – the biggest word (other than KM) is SharePoint, so we know what this is about! 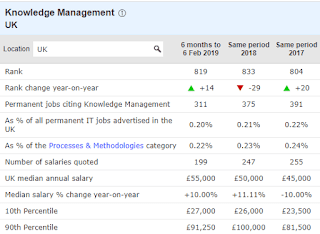 Job number 8 – above – again seems like a well rounded role, with no single issue taking precedence.